My time with Idera has come to an end, so I wanted to aggregate some of the resources I assembled with them. I also wanted to share some information about my new company, Bitstream Foundry LLC. Sometimes it’s hard to believe just how quickly time flies by. At the tail end of last December, I announced that some big changes were coming for me – namely that I would be transitioning into something new from an employment perspective. Today is the last day of normal business in March 2013, and that means my time with Idera is at an end. My last three years with Idera have been quite a whirlwind of activity. I feel very fortunate and am extremely thankful to Idera for the opportunities they’ve afforded me – especially over the last year in my role as their Chief SharePoint Evangelist. In that role, I was given the latitude to spend a significant chunk of my time focusing on an area that is very important to me personally: the SharePoint Community. In thinking about my role and some of what I’ve done over the last three years, it occurred to me that it might be nice to summarize and link to some of the materials I assembled while at Idera. I’ve occasionally referenced these items in the past, but I don’t think I’ve ever tried to aggregate them into one post or in one place. February 8, 2013 Do You Have a SharePoint Backup Strategy? September 21, 2012 Okay, Really – What Can I Do With a SharePoint Farm Configuration Database Backup? August 24, 2012 Do I Really Need to Backup Up the SharePoint Root? 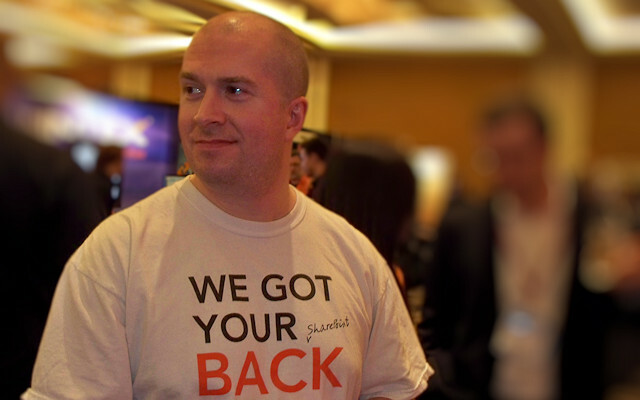 June 8, 2012 TechEd – Why Should You Care? And although it isn’t available just yet, sometime soon Idera will be releasing another whitepaper I wrote that had the working title of “SharePoint Caching Implementation Guide.” If that sounds at all interesting, keep an eye on the Whitepapers section of Idera’s Resources page. Although I’m going to miss my friends at Idera and wish them the best of luck going forward, I’m very excited about some things I’ve got cooking – particularly with my new company! A couple of months back, I launched Bitstream Foundry, LLC, with the intention of getting back into more hands-on SharePoint work. My intention is to focus initially on a combination of custom SharePoint development work and SharePoint App Store product development. In the past, I’ve been a “switch hitter” when it comes to SharePoint, and I’ve gone back and forth between development and administration roles fairly regularly. Although I’m not abandoning my admin “comrades in arms,” I have to admit that I tend to get the greatest enjoyment out of development work. Between custom solutions and App Model development, I’m pretty sure I’ll be able to keep myself busy. I also learned today that my application to get Bitstream Foundry listed in the SharePoint App Store was approved, so the way is paved for me to roll out Apps. Now I just need to write them! Despite all of the recent changes, one aspect of my professional life that won’t be changing is my commitment to sharing with (and giving back to) the SharePoint community. My confidence in my current situation would probably be substantially lower if it weren’t for all of you – my (SharePoint) friends. Over the last several months, my belief in “professional karma” has been strongly reinforced. I’ve always tried to help those who’ve asked for my time and assistance, and I’ve seen that goodwill return to me as I’ve sought input and worked to figure out “what’s next.” To those of you who have offered advice, provided feedback, written endorsements/recommendations, and more, you have my most heartfelt thanks. Author Sean McDonoughPosted on March 29, 2013 March 29, 2013 Categories NewsTags Community, Idera, linkedin, Speaking, Writing12 Comments on Wrap-Up, Roll-Up, and Move-On! After some time away, I’m getting back to blogging with a recap of the last several months’ worth of events. I cover a couple of SharePoint Saturdays, a webcast, my new whitepaper, and a new CodePlex project for SharePoint administrators. Over the last several months, I haven’t been blogging as much as I’d hoped to; in reality, I haven’t blogged at all. There are a couple of reasons for that: one of them was our recent house move (and the aftermath), and the other was a little more personal. Without going into too much detail: we were contending with a very serious health issue in our family, and that took top priority. The good news is that the clouds are finally parting, and I’m heading into the close of 2011 on a much better note (and with more time) than I’ve spent the last several months. To get back into some blogging, I figured I’d wrap-up the last several months’ worth of activities that took place since SharePoint Saturday Columbus. A lot of things started coming together towards the end of October, and the first of those was another webcast that I did for Idera titled “’Caching-In’ for SharePoint Performance.” The webcast covered each of SharePoint’s built-in caching mechanisms (object caching, BLOB caching, and page output caching) as well as the Office Web Applications’ cache. I provided a rundown on each mechanism, how it worked, how it could be leveraged, and some watch-outs that came with its use. The webcast was basically a lightweight version (40 minutes or so) of the longer (75 minute) presentation I like to present at SharePoint Saturday events. It was something of a challenge to squeeze all of the regular session’s content into 40 minutes, and I had to cut some of the material I would have liked to have kept in … but the final result turned-out pretty well. If you’re interested in seeing the webcast, you can watch it on-demand from the SoS webcast archive. I also posted the slides in the Resources section of this blog. On Saturday October 29th, Cincinnati had its first-ever SharePoint Saturday Cincinnati event. The event took place at the Kingsgate Marriott on Goodman Drive (near University Hospital), and it was very well attended – so much so that Stacy Deere and the other folks who organized the event are planning to do so again next year! I had a great time at the event, and I’m hoping I’ll be fortunate enough to participate again on the next go ‘round! Okay, there’s actually no romance in it whatsoever (thank heavens for prospective readers – no one needs us doing that to them), but there is a solid chunk of coverage on SharePoint 2010’s new platform capabilities pertaining to disaster recovery. We also review some disaster recovery basics in the whitepaper, cover things that have changed since SharePoint 2007, and identify some new watch-out areas in SharePoint 2010 that could have an impact on your disaster recovery planning. The whitepaper is pretty substantial at 13 pages, but it’s a good read if you want to understand your platform-level disaster recovery options in SharePoint 2010. It’s a free download, so please grab a copy if it sounds interesting. John and I would certainly love to hear your feedback, as well. Many of my friends in the SharePoint community have heard me talk about some of the projects I’ve wanted to undertake to extend the SharePoint platform. I’m particularly sensitive to the plight of the administrator who is constrained (typically due to lack of resources) to use only the out-of-the-box (OOTB) tools that are available for data protection. While I think the OOTB tools do a solid job in most small and mid-size farms scenarios, there are some clear gaps that need to be addressed. Since I’d been big on promises and short on delivery in helping these administrators, I finally started on a project to address some of the backup and restore gaps I see in the SharePoint platform. The evolving and still-under-development result is my SharePoint Backup Augmentation Cmdlets (SharePointBAC) project that is available on CodePlex. With the PowerShell cmdlets that I’m developing for SharePoint 2010, I’m trying to introduce some new capabilities that SharePoint administrators need in order to make backup scripting with the OOTB tools a simpler and more straightforward experience. For example, one big gap that exists with the OOTB tools is that there is no way to groom a backup set. Each backup you create using Backup-SPFarm, for instance, adds to the backups that existed before it. There’s no way to groom (or remove) older backups you no longer want to keep, so disk consumption grows unless manual steps are taken to do something about it. That’s where my cmdlets come in. With Remove-SPBackupCatalog, for example, you could trim backups to retain only a certain number of them; you could also trim backups to ensure that they consume no more disk space (e.g., 100GB) than you’d like. The CodePlex project is in alpha form right now (it’s brand spankin’ new), and it’s far from complete. I’ve already gotten some great suggestions for what I could do to continue development, though. When I combine those ideas with the ones I already had, I’m pretty sure I’ll be able to shape the project into something truly useful for SharePoint administrators. If you or someone you know is a SharePoint administrator using the OOTB tools for backup scripting, please check out the project. I’d really love to hear from you! As I type this, I’m in Colorado at the close of the third (annual) SharePoint Saturday Denver event. 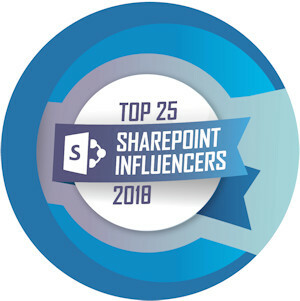 This year’s event was phenomenal – a full two days of SharePoint goodness! Held on Friday November 11th and Saturday November 12th at the Colorado Convention Center, this year’s event was capped at 350 participants for Saturday. A full 350 people signed-up, and the event even had a wait list. “Are my nightly SQL Server backups good enough?” “Do I need an off-site disaster recovery facility?” “How do I even start the process of disaster recovery planning?” These are just a few of the more common questions that arise when the topic of SharePoint disaster recovery comes up. As with most things SharePoint, the real answer to each question is oftentimes “it depends.” In this business and process-centric session, we will be taking a look at the topic of SharePoint disaster recovery from multiple perspectives: business continuity planner, technical architect, platform owner, and others. Critical concepts and terms will be explained and defined, and an effective process for analyzing and formulating a disaster recovery plan will be discussed. We’ll also highlight some common mistakes that take place when working to build a disaster recovery strategy and how you can avoid them. By the end of this session, you will be armed with the knowledge needed to plan or review a disaster recovery strategy for your SharePoint environment. The reason I amended the abstract is because the previous abstract for the session didn’t do enough to call out the fact that the presentation is primarily business-centric rather than technically focused. Many of the folks who initially came to the session were SharePoint IT pros and administrators looking for information on backup/restore, mirroring, configuration, etc. Although I cover those items at a high level in this new talk, they’re only a small part of what I discuss during the session. On Saturday, I delivered my “’Caching-In’ for SharePoint Performance” talk during the first slot of the day. I really enjoy delivering the session; it’s probably my favorite one. I had a solid turn-out, and I had some good discussions with folks both during and after the presentation. As I mentioned, this year’s event was a two day event. That’s a little unusual, but multi-day SharePoint Saturday events appear to be getting some traction in the community – starting with SharePoint Saturday The Conference a few months back. Some folks in the community don’t care much for this style of event, probably because there’s some nominal cost that participants typically bear for the extra day of sessions. I expect that we’ll probably continue to see more hybrid events, though, because I think they meet an unaddressed need that falls somewhere between “give up my Saturday for free training” and “pay a lot of money for a multi-day weekday conference.” Only time will tell, though. Event though 2011 isn’t over yet, I’m slowing down on some of my activities save for SharePointBAC (my new extracurricular pastime). 2012 is already looking like it’s going to be a big year for SharePoint community activities. In January I’ll be heading down to Texas for SharePoint Saturday Austin, and in February I’ll be heading to San Francisco for SPTechCon. I’ll certainly cover those activities (and others) as we approach 2012. SPS Cincinnati Slides: SharePoint 2010 Disaster Recovery: New Capabilities, New Possibilities! In this post, I discuss a couple of events that I have coming up; specifically, SPTechCon Boston and SharePoint Saturday Dallas. Fall is here, and the SharePoint bus keeps on rolling down the road. There’s no shortage of events coming up – conferences, SharePoint Saturdays, and more. Here are a couple of events in which I’ll be participating. In a couple of days, I’ll be heading up to Boston for SPTechCon Boston 2010. The event is put on by Dave Rubenstein of BZ Media, and it promises to be one of the bigger SharePoint conferences of this year. Although I’m presenting a “lightning talk” on Wednesday the 20th titled Backup/Restore Knowledge Nuggets: What’s True, What’s Not?, it’s only five minutes long … and not the main reason I’m going to the conference. To tell you the truth, I’m simply looking forward to taking in some of the sessions and seeing many of my friends in the community whom I haven’t seen in a while. My co-author, John Ferringer, is one of those folks I haven’t seen in a while – since SharePoint Saturday Columbus, I believe. Thanks to the folks at Idera, the two of us will be getting the band back together to do a book signing on Friday morning (the 22nd) at 9:45am during coffee and donuts. Idera purchased 20 copies of our SharePoint 2010 Disaster Recovery Guide, and they’ll be giving them away (see the poster on the right). 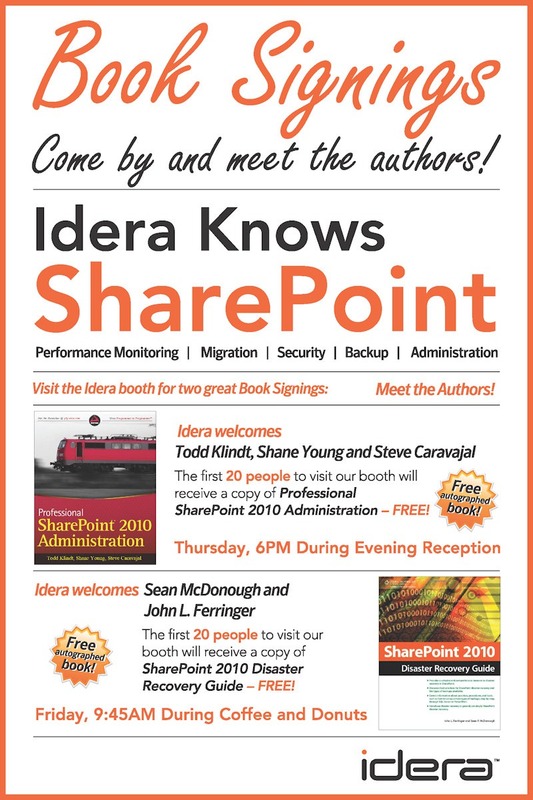 John and I will be signing those books, so if you want to meet a couple of flagship members in the “SharePoint Mr. Clean Team” (to quote SharePoint superstar and all-around great person, Joy Earles), please swing by the Idera booth! I knew that I was going to be down in Houston for some business during the second week of November, so when I learned that Eric Shupps was in the process of pulling things together for SharePoint Saturday Dallas during the same time frame (Saturday, November 13th), I pinged him to see if he could use another speaker. He pinged me back, and it looks like I’ll be making a stop in Dallas on my way back to Cincinnati. The SharePoint Saturday event is being held at the Hilton Dallas Park Cities from 9am until 5:30pm on Saturday, November 13th. If you work with SharePoint and reside in or around the Dallas area, I strongly encourage you to sign up for the event and come on out. Like all SharePoint Saturday events, there’s no cost to you – it’s simply a free day of training, food, giveaways, and interaction with the SharePoint community! The SharePoint 2010 Disaster Recovery Guide is now available! In this post, I provide a small peek into the contents of the book and the people who helped make it a reality. John Ferringer and I apparently didn’t learn our lesson the first time around. When Cengage approached us about writing another version of the book, we said “yes.” We were either in denial or had repressed the memories associated with writing the first book. There were definitely some difficulties and challenges (like trying to learn the relevant pieces of the SharePoint 2010 platform while also writing about them), but we managed to pull it off again. Of course, we couldn’t have done this without the technical prowess and patience of JD Wade. JD was our technical editor, and he had a knack for questioning any assumption or statement that wasn’t clearly backed by fact. He did a fantastic job – I couldn’t have been happier. The book’s accuracy and quality are a direct result of his contributions. As you can see, we’ve included a little something for just about everyone who might work with SharePoint or interface with it for disaster recovery purposes. SharePoint administrators will probably benefit the most from the book, but there are definitely sections that are of use to SharePoint developers, DR planners, and others who are interested in SharePoint from a business continuity perspective. If you happen to pick up a copy of the book, please share your feedback with us – good, bad, ugly, or anything else you feel like sending our way! We poured a lot of time and effort into this book in an attempt to “do our part” for the community, and your thoughts and feedback mean everything to us. In this post, I discuss my quest to determine whether or not site collection backups properly capture workflow information in SharePoint 2010. TechNet made a point of saying they didn’t, but Joel Oleson said they did. Who was right? Do you trust TechNet? I generally do, as I figure the good folks at Microsoft are doing their best to disseminate reliable information to those of us working with their products. As I recently learned, though, even the information that appears on TechNet needs some cross-checking once in a while. Bear with me, as this post is equal parts narrative and data discussion. If you don’t like stories and want to cut straight to the chase, though, simply scroll down to the section titled “The Conclusion” for the key takeaway. For those who aren’t overly familiar with site collection backups, it’s probably worth spending a moment discussing them a bit before going any further. Site collection backups are, after all, at the heart of this blog post. What is a site collection backup? It is basically what you would expect from its name: a backup of a specific SharePoint site collection. These backups can be used to restore or overwrite a site collection if it becomes lost or corrupt, and they can also be used to copy site collections from one web application (or farm) to another. When a site collection backup is executed, a single file with a .bak extension is generated that contains the entire contents of the site collection targeted. This file can be freely copied and moved around as needed. Aside from some recommendations regarding the maximum size of the site collection captured using this approach (15GB and under in SharePoint 2007, 85GB and under in SharePoint 2010), the backups themselves are really quite handy for both protection and site collection migration operations. John Ferringer and I have been plugging away at the SharePoint 2010 Disaster Recovery Guide for quite some time. As you might imagine, the writing process involves a lot of research, hands-on experimentation, and fact-checking. This is especially true for a book that’s being written about a platform (SharePoint 2010) that is basically brand new in the marketplace. This stuck with me when I read it, because I hadn’t recalled any such statement being made with regard to site collection backups in SharePoint 2007. Since Microsoft made a special note of pointing out this limitation for SharePoint 2010, though, I figured it was important to keep in mind. Knowing that workflows had changed from 2007 to 2010, I reasoned that the new limitation was probably due to some internal workflow plumbing alterations that adversely affected the backup process. A couple of weeks back, I was presenting at SharePoint Saturday Ozarks alongside an awesome array of other folks (including Joel Oleson) from the SharePoint community. Due to a speaker no-show in an early afternoon slot, Mark Rackley (the event’s one-man force-of-nature organizer) decided to hold an “ask the experts” panel where attendees could pitch questions at those of us who were willing to share what we knew. Me: <to the attendee> Site collection backups don’t capture everything in SharePoint 2010, though, so be careful. Joel: No, site collection backups are full-fidelity. Me: TechNet specifically indicates that workflows aren’t covered in site collection backups with SharePoint 2010. Joel: No, the backups are still full fidelity. The discussion topic and associated questions for the panel quickly changed, but my brain was still stripping a few gears trying to reconcile what I’d read on TechNet with what Joel was saying. After the session, I forwarded the TechNet link I had quoted to Joel and asked if he happened to have an “inside track” or perhaps some information I didn’t have access to. We talked about the issue for a while at the hotel a little later on, but the only thing that we could really conclude was that more research was needed to see if site collection backups had in fact changed with SharePoint 2010. Before taking off that weekend, we decided to stay in contact and work together to get some answers. To understand why this issue bothered me so much, remember that I’m basically in the middle of co-authoring a book on the topic of disaster recovery – a topic that is intimately linked to backup and restore operations. The last thing I would ever want to do is write a book that contains ambiguous or (worse) flat-out wrong information about the book’s central topic. Catastrophic Backup and Restore API. These types are located in the Microsoft.SharePoint.Administration.Backup namespace, and they provide SharePoint’s full-fidelity backup and restore functions. Backup and restore operations take place on content components such as content databases, service applications, and the entire SharePoint farm. Catastrophic backup and restore operations are full-fidelity, meaning that no data is lost or selectively ignored during a backup and subsequent restore. By default, catastrophic backup and restore operation don’t get any more granular than a content database. If you want to protect something within a content database, such as a site collection, sub-site, or list, you have to backup the entire content database containing the target object(s). Content Deployment API. The member types of this API (also known internally at Microsoft as the PRIME API) reside within the Microsoft.SharePoint.Deployment namespace and are used for granular content export and import operations. The exports that are created by the types in this namespace target objects from the site collection level all the way down to the field level – typically webs, lists, list items, etc. Content Deployment exports are not full-fidelity and are commonly used for moving content around more than they are for actual backup and restore operations. So, where does this leave site collection backups? In truth, site collection backups don’t fit into either of these categories. They are a somewhat unusual case, both in SharePoint 2007 and SharePoint 2010. To carry out a site collection backup, all that is needed is the URL of the site collection, the filename that will be used for the resultant backup file, and a TRUE or FALSE to indicate whether an overwrite should occur if the selected file already exists. If you were to pop open Reflector and drill into the Backup method on the SPSiteCollection type, you wouldn’t get very far before running into a wall at the SPRequest type. SPRequest is a managed wrapper around the take-off point for a whole host of external calls, and the execution of the Backup method is actually handled in unmanaged legacy code. Examining the internals of what actually takes place during a site collection backup (or restore, for that matter) simply isn’t possible with Reflector. Since the internals of the Backup method weren’t available for reflective analysis, I was forced to drop back and punt in order to determine how site collection backups and workflow interacted within SharePoint 2010. I knew that I was going to have to execute backup and restore tests at some point; I was just hoping that I would be a bit more informed (through object model inspection) about where I needed to focus my efforts. Without any visibility into the internals of the site collection backup process, though, I didn’t really have much to start with. Going into the testing process, I knew that I wasn’t going to have enough time to perform exhaustive testing for every scenario, execution path, variable, and edge-case that could be relevant to the backup and restore processes. I had to develop a testing strategy that would hit the likely problem areas as quickly (and with as few runs) as possible. Workflow Types. Testing the most common workflow types was important. I knew that I would need to test at least one out of the box (OOTB) workflow type. I also decided that I needed to test at least one instance of each type of workflow that could be created through SharePoint Designer (SPD) 2010; that meant testing a list-bound workflow, a site collection workflow, and a reusable workflow. I decided that custom code workflows, such as those that might be created through Visual Studio, were outside the scope of my testing. Backup and Restore Isolation. While testing, it would be important to ensure that backup operations and restore operations impacted one another (or rather, had the potential to impact one another) as little as possible. Though backups and restores occurred within the same virtual farm, I isolated them to the extent that I could. Backups were performed in one web application, and restores were performed in a separate web application. I even placed each web application in its own (IIS) application pool – just to be sure. I also established a single VM snapshot starting point; after each backup and restore test, I rolled back to the snapshot point to ensure that nothing remained in the farm (or VM, for that matter) that was tied to the previous round of testing. I created a single Publishing Portal, bolted a couple of sub-sites and Document Libraries into it, and used it as the target for my site collection backup operations. The Document Library that I used for workflow testing varied between tests; it was not held constant and did change according to the needs of each specific test. In both the OOTB workflow and SPD workflow scenarios, I wanted to perform backups while workflows were basically “in flight” to see how workflow state would or wouldn’t be impacted by the backup and restore processes. For the publishing approval workflow, this meant taking a site collection backup while at least one page was pending approval. For the SPD workflows, it meant capturing a backup while at least one workflow instance was in a five minute wait period and another was waiting on the completion of the To Do item. Prior to executing a backup in each test case, I ran a couple of workflow instances from start to finish. This ensured that I had some workflow history information to capture and restore. Once site collection backups were captured in each test case, I restored them into the empty web application. I then opened the restored site collection to determine what did and didn’t get transcribed through the backup and restore process. In each workflow case (OOTB and all three SPD workflows), all workflow information that I could poke and prod appeared to survive the backup and restore process without issue. Workflow definition data was preserved, and workflow history came over intact. Even more impressive, though, was the fact that in-process workflow state was preserved. SPD workflow steps that were in the middle of a wait period when a backup was taken completed their wait period after restore and moved on. To Do items that were waiting for user intervention continued to wait and then proceeded to the next step when they were marked as completed in the restored site collection. In addition, new instances of each workflow type could be created and started in both site collections following the backup and restore operations. The backup and subsequent restore didn’t appear to have any effect on either the source or destination. Though my testing wasn’t exhaustive, it did cast a doubt on the absolute nature of the statement made on TechNet regarding site collection backups failing to include workflows. While I was conducting my research and testing, Joel was leveraging his network of contacts and asking folks at Microsoft for the real story behind site collection backups and workflow. He made a little progress with each person he spoke to, and in the end, he managed to get someone to go on the record. The official word from Microsoft is that the TechNet note indicating that site collection backups don’t include workflows is a misprint. In reality, the point that should have been conveyed through TechNet was that content exports (via the Content Deployment API) don’t include workflows – a point that is perfectly understandable considering that the Content Deployment API doesn’t export or import with full-fidelity. Microsoft indicated that they’ll be correcting the error, and TechNet may have been corrected by the time you read this. My takeaway on this: if something on TechNet (or anywhere else on the web) doesn’t quite add up, it never hurts to test and seek additional information from others in the community who are knowledgeable on the subject matter. In this case, it made a huge difference.